Throughout LCD Soundsystem’s initial run, from their very first single up to their final bow, the band became an avatar for the struggle to stay hip as you get older. James Murphy’s grand introduction to the public was 2002’s “Losing My Edge,” a cheeky diatribe that depicted him in the middle of a nervous breakdown upon the realization that a new generation of cool kids was rendering him obsolete. The song was self-aware enough to qualify as dark comedy, but the neuroses it unpacked were very real. Even though 32-year-old Murphy was in on the joke, the very existence of “Losing My Edge” seemed like an effort to regain his edge. And it basically worked, with LCD Soundsystem becoming one of the most critically celebrated bands of the new millennium — a new lease on cool that would carry him well past 40. Over the next nine years, the band’s discography expanded to touch on a number of topics, but that thread of cool-consciousness was ever-present: See “Daft Punk Is Playing At My House,” on which Murphy adopts the posture of a worldly older brother figure (“I’ll show you the ropes, kid” — again, with enough of a wink to tell you Murphy is in on the joke). Or “North American Scum,” a blast of self-defensive sarcasm against European straw-snobs who dared question his bona fides. Or “New York, I Love You But You’re Bringing Me Down,” on which Murphy bemoans the clean, tidy, and ultimately boring state of post-gentrification NYC — not like the skuzzy New York that gave us all those classic records that formed the foundation of LCD Soundsystem’s sound. Or “You Wanted A Hit,” on which our hero self-consciously shies away from the idea of creating a craven pop song. To his credit, Murphy never seemed to define “cool” as “mean.” When I interviewed him for a Columbus tabloid weekly in 2007, he gave the kindest, most generous musician interview I’ve ever conducted, treating this young dilettante’s every question with dignity. His public behavior over the years has always seemed consistent with the nice guy from my phone call. Yet those themes established by “Losing My Edge,” that pursuit of a specific and instantly recognizable kind of music-fan cachet, remained a part of LCD’s DNA until the end. The focus simply shifted from being the DJ guy with an encyclopedic knowledge of obscure music to securing his own music’s reverential place in the canon. Even the band’s early retirement and ostentatious going-away party were an act of legacy preservation intended to ensure LCD Soundsystem didn’t last long enough to become lame. Our report from LCD Soundsystem's first reunion show. You know what is not very cool, though? Reunion tours — especially reunion tours less than five years after you said you were breaking up forever and threw yourself a massive farewell concert at Madison Square Garden, and then, with much fanfare, released a documentary film about that concert, and then turned that same concert into a five-disc vinyl box set for Record Store Day. 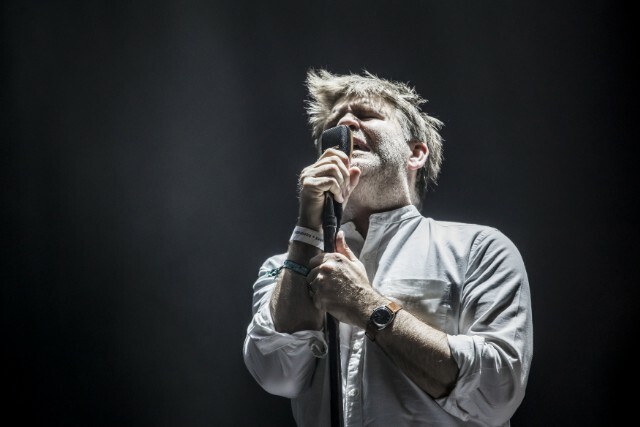 When news of LCD’s imminent return to the stage was officially confirmed, that box set — pointedly titled The Long Goodbye — hadn’t even been out for two years. Now that the band had finally finished cashing in on their retirement, it was jarring to see them cashing in on a reunion so soon. Even if we take into account that no band breakup is really permanent until the principals are dead, this all seemed so sudden in way that screamed, Not cool, James Murphy! 1. make music with your friends and call it something else, which seems hilarious (everteen) or egomaniacal to the point of sociopathic (james murphy solo record). 2. make music, but willfully exclude your friends because of the horrors in option 1. 3. make an lcd record with your friends, who want to make said record, and deal with whatever fall-out together. 4. don’t make music, to avoid the horrors of all of the above. 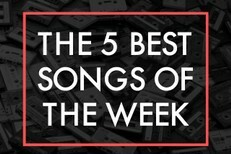 5. make music and, like, hide it somewhere. Viewed from the band’s perspective, LCD Soundsystem’s return is not so much a betrayal as a corrective. The decision to go out on top rather than suffer diminishing returns proved short-sighted because, unlike most athletes who decide to retire before their skills degrade, musicians don’t lose their ability to make music. Legendary NFL running backs Jim Brown and Barry Sanders might have cost their fans a few years of highlights by hanging it up early, but they don’t have to deal with the prospect of a fresh burst of physical ability years down the line. Their prime is undoubtedly over. Whereas art is a lifetime pursuit, and although even the most iconic musicians usually cannot sustain the same level of excellence throughout their entire lifetime, the potential is always there for a late-career classic. A better sports analogy would be Michael Jordan’s first retirement. After winning three straight NBA championships with the Chicago Bulls (and thereby originating the term “threepeat”), Jordan retired from basketball in 1993 to pursue his lifelong dream of a career in baseball. But Jordan wasn’t good enough at baseball for the Chicago White Sox to justify promoting him to the major leagues. After a couple years languishing in the minors, he realized he was pouring his energy into a lost cause. After presumably crying over his wasted years, he made a triumphant return to basketball, spearheading another threepeat and sealing his reputation as the greatest basketball player in history. It would border on blasphemy to call Murphy the Michael Jordan of music, but LCD’s first three albums certainly qualify as some kind of threepeat. And the activities he busied himself with after the band’s breakup — opening a wine bar, building songs out of tennis data, pursuing a more melodious NYC subway experience — felt like as much of a wheel-spinning exercise as Jordan’s baseball career. So it’s exciting to see Murphy returning to what made him great. I say that as someone who recently saw that greatness manifest before my eyes. 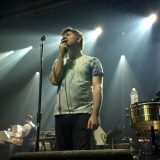 I had the privilege of watching LCD Soundsystem play twice last week in Barcelona, first at a small club show for a few hundred people and then on a gargantuan festival stage for tens of thousands at Primavera Sound. These were the band’s first European comeback shows, their sixth and seventh performances of the reunion tour. They did the same set both times, and both times the positive vibes were overwhelming. There was so much joy in air when the drumbeat from “Us v Them” kicked in, and it only amplified over the course of two adrenalizing hours, culminating both times with the blood-rush exhilaration of “All My Friends,” the anthem that has long since replaced “Losing My Edge” as LCD’s signature song. An in-depth look at James Murphy's greatest song. In a smart essay three years ago, Ryan Leas wrote that “All My Friends” is “about aging, feeling disconnected, simultaneously reckoning with and missing your past,” which could work as a description for “Losing My Edge” too. But there’s a sentimentality in “All My Friends” that I think has become the defining characteristic for LCD Soundsystem’s new era. Now, as any cynic will tell you, there are some major short-term advantages to coming out of retirement. LCD Soundsystem are gonna get real paid this year, and rather than a veteran band trying to stay relevant on their fourth album, they get to be returning heroes releasing their comeback album. But the enthusiasm that accompanies these grand returns inevitably wanes, and eventually you become another veteran band churning out albums every few years. The best way to stay cool is to stay broken up — just ask the Pixies, whose once overwhelming aura of mystique has completely evaporated in the years since their much-hyped 2004 reunion. And those are musicians who don’t even seem to like each other! When I saw the Pixies reunion at this same festival 12 years ago, the whole ordeal was awkwardly mercenary. By comparison, these LCD Soundsystem gigs felt like the best kind of family reunion. That’s why I think this reunion represents a major turning point in Murphy’s philosophy. The tension that was driving “Losing My Edge” seems to have dissipated, his High Fidelity-style arrested development replaced by a warm new maturity. He willfully transgressed his own rules of cool, sacrificing LCD’s carefully curated legacy in favor of continuing to do what he loves with people he clearly adores. From a distance, sure, it looks like LCD Soundsystem just hoodwinked their fans in pursuit of the almighty dollar. 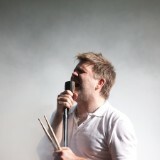 And no, LCD have no intention of becoming a legacy band, shutting up and playing the hits ad infinitum. They want to stay relevant, to keep getting better. But there’s no telling whether the next album will live up to their lofty standards, and the future beyond LP4 is even blurrier. Murphy’s willingness to step into that great unknown rather than sit on his neatly arranged accomplishments suggests that he really can change, and for the better. As you get older, if you’re wise, you eventually stop trying to impress strangers who will probably turn on you anyway. You learn that you can still have good things and fun experiences. That has been the predominant feeling at these reunion shows: a sense of intimate connection on stage and in the crowd, of gratitude that we get to share this music again. In resurrection, the band seems to have shed their old neuroses. They are no longer defined by the struggle to stay cool, but rather the pull to hold on to what matters in life while you still can. TL;DR they spent their first 10 years trying to get with the plan and the next five years trying to be with their friends again.